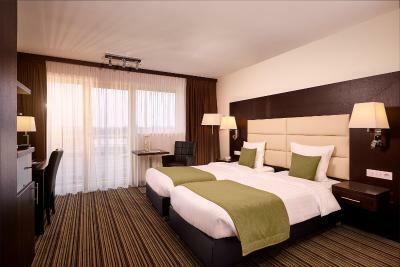 Lock in a great price for Hotel Charleroi Airport - Van Der Valk – rated 8.4 by recent guests! Finding the hotel was easy using GPS. The hotel is ideally located close to the highway, so getting in and out is a breeze. There is ample parking and it is free. Check-in was quick and efficient. Good breakfast and service is good. 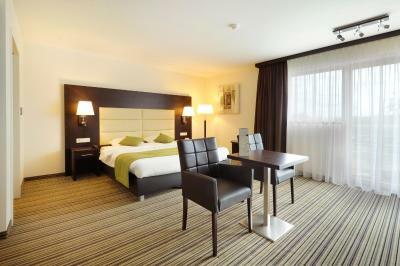 Good hotel modern, clean comfortable great value for money especially in combination with travel via Charleroi airport. Super room with jacuzzi. Excellent parking. Good wi fi. Staff on reception very helpful. Easy access from motorway. Helpful staff. Nice facilities. Good breakfast. Close to the airport. They picked me up from the airport as I booked a room after a missed flight. I contacted them on Facebook and, to my pleasant surprise, received their response within couple of minutes. They were very kind to send a car immediately. My special thanks to the staff for this! I was there about 6 years ago, but at that time the hotel really needed upgrading and I wasn’t very happy with my stay. This time, however, I was very pleased with everything. It was perfect in every way, friendly, comfortable, convenient, fantastic food, faultless. We only stayed here because it was so close to the Charleroi airport, and our flight left ridiculously early. But, the hotel was great! They have a wonderful restaurant in the lobby and a shuttle to the airport every 40 minutes beginning at 4am. We left too early for breakfast, but the dinner we ordered was very good. Surprisingly large family room. The location made our early morning flight easy. 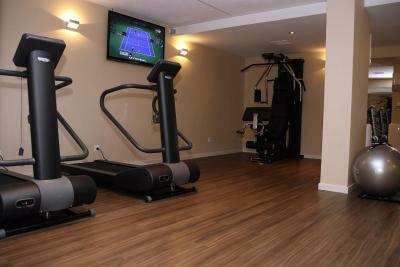 very clean rooms , large parking, close to supermarket. the family room was great.The staff very kind, very good hotel. definitely we will return there next time. 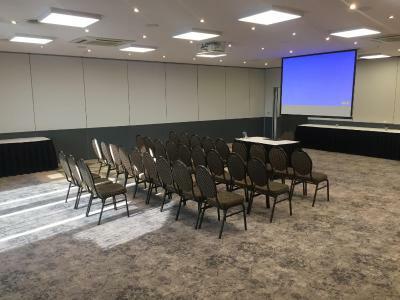 Hotel Charleroi Airport - Van Der Valk is located 10 minutes' drive from Charleroi Airport and benefits from a fitness center, a 24-hour front desk and free WiFi throughout. A shuttle service to Brussels South Charleroi Airport is available for a fee. 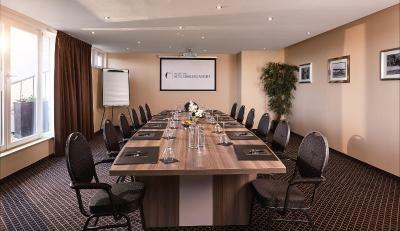 Each of the soundproof rooms at Hotel Charleroi Airport - Van Der Valk has a seating area and a flat screen TV. 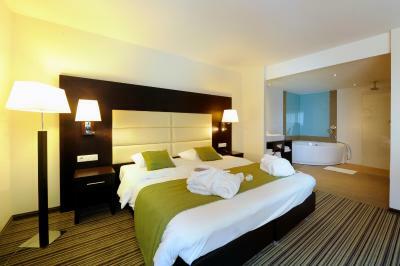 The superior rooms include air conditioning and free use of a mini-bar stocked with soft drinks. 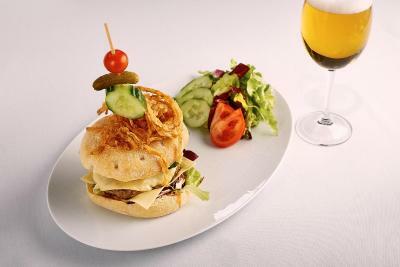 This hotel features Brasserie-Restaurant Le Cent Quinze, which serves traditional French cuisine and seasonal specialties. 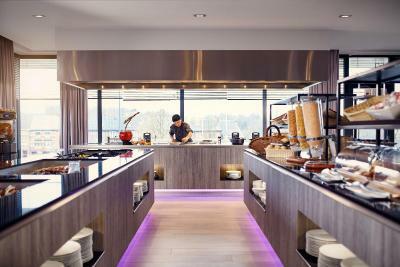 A hot breakfast buffet is available daily for an extra charge. Courcelles-Motte Train Station is 1.1 mi away and the center of Charleroi is only a 10-minute drive away. Golf Château de la Tournette is 15 minutes’ drive from the Hotel Van Der Valk. 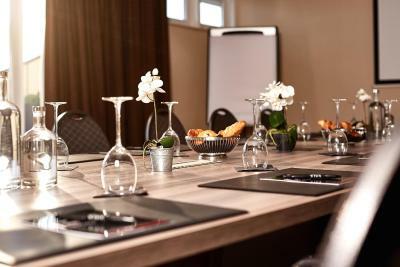 Gosselies is a great choice for travelers interested in business, tranquillity and budget-friendly traveling. This property is also rated for the best value in Charleroi! Guests are getting more for their money when compared to other properties in this city. 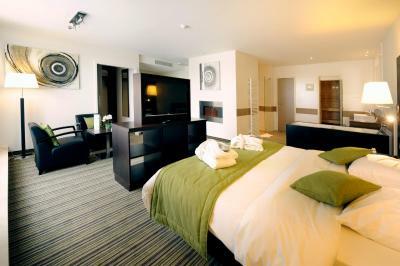 When would you like to stay at Hotel Charleroi Airport - Van Der Valk? The family room can accommodate 2 adults and 2 children (max.15 years old). 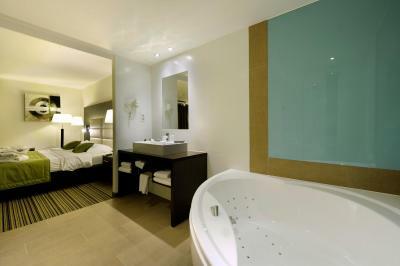 This room has a balcony, a bed with a canopy and a bathroom with a hot tub and light feature on the ceiling. It includes flat-screen cable TV and a desk. 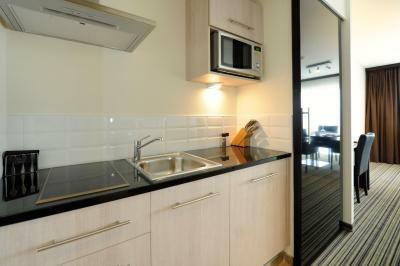 A free mini-bar and tea/coffee making facilities are also provided. 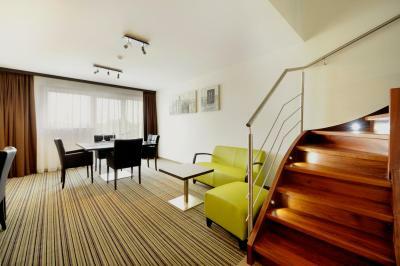 This spacious room with balcony features a flat-screen TV, a sitting area, a work desk and a free minibar. 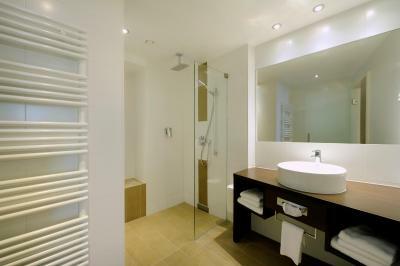 The bathroom includes a shower and a hairdryer. This family room has a soundproofing, seating area and dining area. 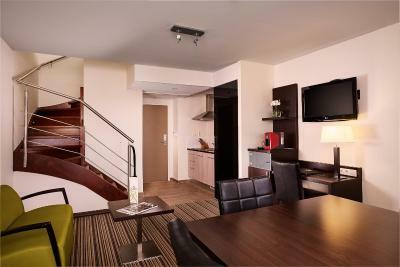 This twin/double room features a soundproofing, seating area and cable TV. 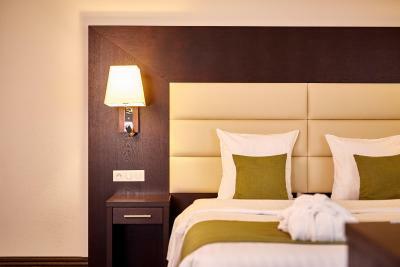 Parking, airport shuttle and Fast-track lane access are included in the room rate. 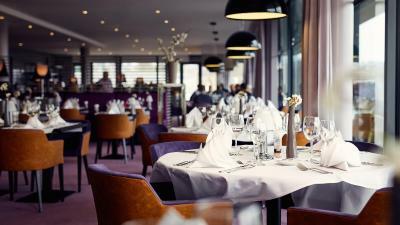 Dear Guests, The Hotel Restaurant Charleroi Airport is part of the Van der Valk hotel group. 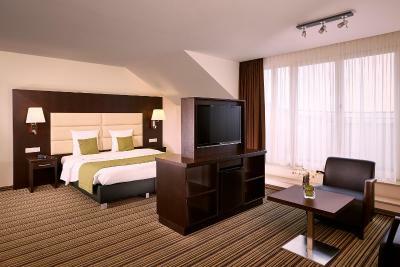 The Van der Valk family opened its first hotel in The Hague in 1936. 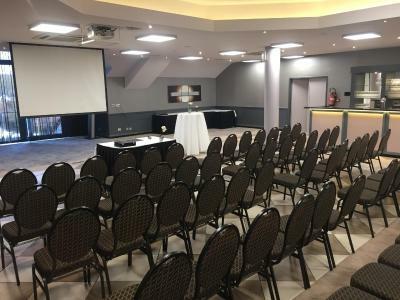 The business has been growing steadily ever since, but our hotels have retained the friendly, family-run character that you will meet in any establishment under the emblem of the toucan Hotel Charleroi Airport has opened in 2005 with 80 rooms and in 2012 we opened 74 new more rooms in order to face to our success! 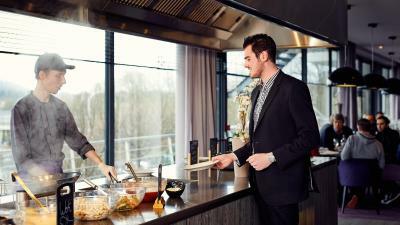 House Rules Hotel Charleroi Airport - Van Der Valk takes special requests – add in the next step! ATM card Hotel Charleroi Airport - Van Der Valk accepts these cards and reserves the right to temporarily hold an amount prior to arrival. Hotel Charleroi Airport - Van Der Valk accepts these cards and reserves the right to temporarily hold an amount prior to arrival. 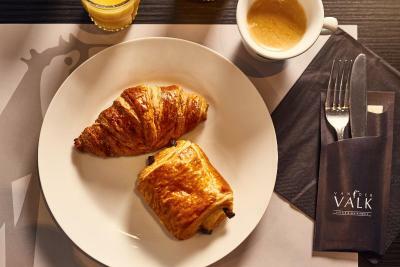 Please note that a cold breakfast buffet is available from 04:30 to 06:30 at a reduced price. An additional warm buffet is served from 06:30 to 10:30. 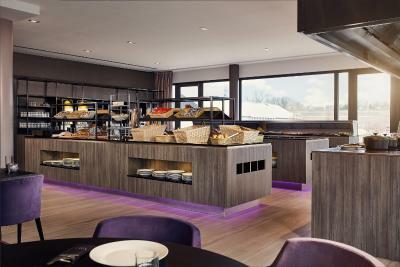 Children can enjoy breakfast for EUR 7,50 when they are 12 years or younger. 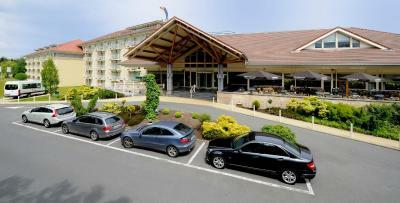 Please note that parking is free during the stay at Hotel Charleroi Airport - Van Der Valk -. After check-out, a EUR 20 parking fee per night incurs, except for the rate 'Sleep, Park & Fly'. With this rate, parking is also free after check-out. Please note that the shuttle to the airport will depart from P3. When booking more than 7 rooms, different policies and supplements may apply. 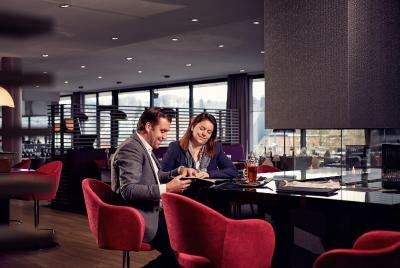 Please note that early check-in and late check-out are available upon request, at a surcharge of EUR 30. Large, calm, clean and comfortable room. Female reception staff very rude when we asked for additional coffee sachets for coffee machine in the room. For €100 per night it would not be too much to ask for additional coffee sachets! The room was not properly cleaned; the toillet was dirty. I told the staff and they treat it like it was normal not to be clean, they were not at all surprised. No excuse, no anything, just that they will clean it. But for a hotel to have the toillet less clean than a public toillet, is completelly unacceptable. They have great sound proofing for the outside, but not so much for the inside. If you get a room close to the elevators - we slept right next to them - you will hear people talk in the hallways. Mind you, tis is a problem at many hotels - not just this one. I hear they will start a renovation, so maybe this problem will be fixed. O and the room was quite hot. Friendly staff, really close to Charlerois airport and right next to the motorway, so this place is very convenient. 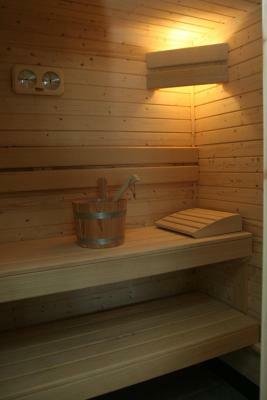 Big and clean rooms; very well insulated from outside noise. Unlike many other hotels in the vicinity they still offer sleep, park, fly arrangements (although you cannot park directly next to the hotel). Very loud party was going on in the whole hotel, untill 1.00 after midnight. OK, we arrived rather late, and was not a big problem this time, but for those early sleepers, it would deffinentlty be disturbing. Rooms facing the motorway can be a bit noisy. Rooms are ample. Staff very nice. Food is excellent but a bit pricy. Good parking. Good beds. Toilets are separate from bathrooms. 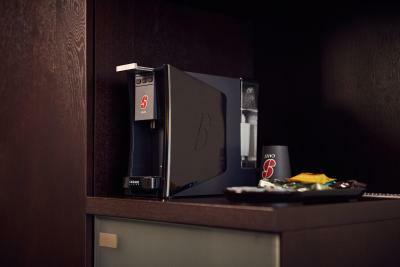 Coffee machine in the room. Early breakfast (which we did not take but it is there if you want). No toiletries except the shower gel. BEWARE; if you are travelling as a group and you give your credit card as a booking security, I was charged the first night for ALL the rooms and wasn’t told this upfront!!! One person was asked to pay for breakfast even though he didn’t have. We eventually had the money refunded. We attended a seminar at the hotel. Room was spacious. Breakfast was good and there was a big selection of everything. The omelettes were delicious. Well done. 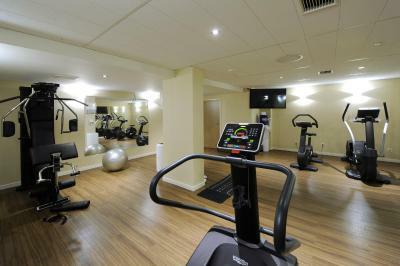 While the lobby and the restaurant look modern, the room is old style, fortunately it was spacious and clean. One minor point: I wanted to dial to the front desk then discovered the telephone was not connected. I opened the cover on the wall trying to plug, it was empty inside! Finally I need to walk down. Good location, nice restaurant, and I like the breakfast very much. The rooms are very noisy, it's quite hard to sleep. The Restaurant it's too expensive and the meals are low level but you have to pay it as a 5 Star Michelin. Too long waiting time to serve you at the restaurant and even when you try to get their attention: they simply pretend to don't see you. The Receptionist are not friendly, it is like to Check-IN and OUT with a Serving Machine. Over expectations, it is not the Hotel for what you have paid.